Wet Stuff Silicone BodyGlide High quality silicone lubricant for extended pleasure and play. ARTG Number : 94373. Wet Stuff Bodyglide Silicone Lubricant Silicone lubricant and body glide for intimate moments. 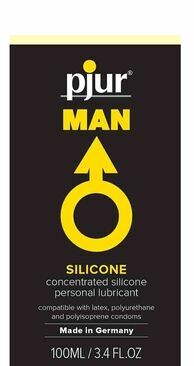 ARTG Number : 94373.
pjur MAN Basic Personal Glide Personal silicone lubrication for male intimacy. ARTG No: 169826. ID-Lube Velvet Lubricant 50ml Long lasting and durable silicone lubricant. Premium lubrication is now at your fingertips. ID-Lube Velvet Personal Lubricant 125ml Premium grade silicone lubricant. For intimate activities, solo or partnered pleasure. Pjur Light Bodyglide has all the same great properties of Pjur Original Bodyglide but is slightly lighter and thinner. A fantastic intimate lubricant for use with your partner and adult toys. 30ML 100ML 250ML 500ML 1LITRE ARTG Number :169826. PJUR ORIGINAL BOTTLE Pjur German lubricant. High quality and long lasting silicone bodyglide gel for extended play and pleasure. ARTG Number :169826.